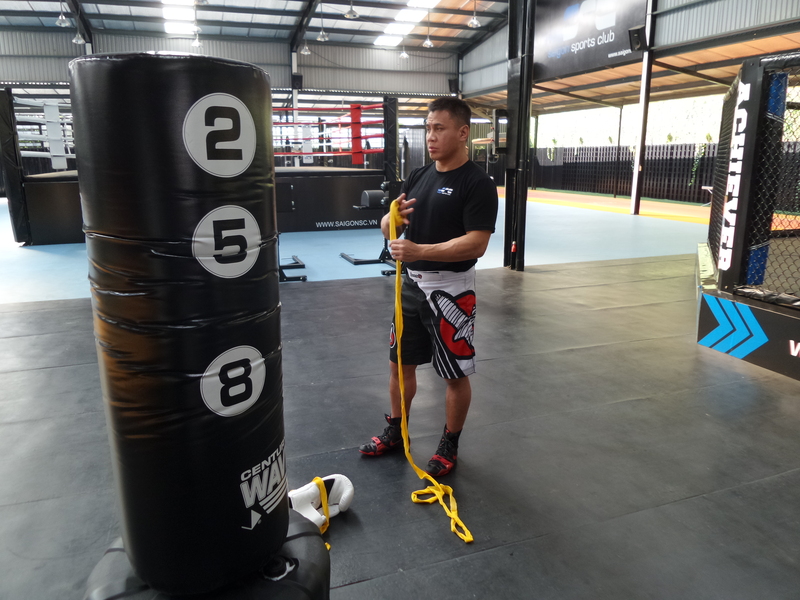 MAAC Exclusive Interview: MMA/Martial Arts Action Star CUNG LE | M.A.A.C. During my recent visit to my home country in Vietnam, I was lucky enough to book a meeting with none other than former MMA Champion and martial arts action star CUNG LE! 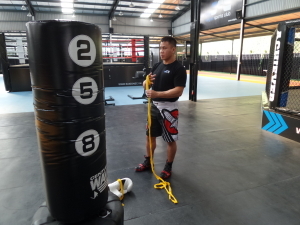 Check out the video below for our tribute to CUNG LE and footage from his training session! 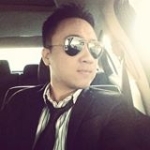 MAAC: Hi Cung, I’ve been a huge fan of yours for a while now. I run a website called Martial Arts Action Cinema focusing on martial arts action movies. Being a Vietnamese American myself, it’s awesome to have someone like you, an athlete/star of your caliber to represent the Vietnamese American community. I just want to say thank you for that. CL: There’s a little bit of a juggle. Right now I have a bit of free time. Obviously I do not want to fight for the UFC right now because of what happened. I’m focusing on movies. I have 4 films lined up teaming up with my buddy CHANNING TATUM with his extension in Asia. I have a few different projects geared towards the international market with an Asian lead. It’s important for me to be able to show the world what I’m able to do not only as an actor, but also as a fight choreographer and putting action together. I take my job as an actor very seriously. I trained with ZevTech and DeltaForce. I’ve worked with Navy Seals in the past as well. It’s an honor to work with those guys. I just feel like I can bring action to the next level. CL: And I can’t do it the Hollywood route because they’ll either cast me as the “triad” or the guy who’s gonna make the white guy look good. MAAC: Right. There seems to still be a lot of typecasting in Hollywood for Asian actors. I can definitely see why you’re getting into the international market to show your full potential as an actor. But yea, moving on, I’ve read a few articles in the past regarding some rumor projects that you may be involved with. First off, there’s the SAMMO HUNG movie produced by BILL KONG. Are you still attached to that? CL: Actually that fell apart. They wanted me to come two weeks before my fight (in Macau) and I couldn’t do it. MAAC: What about Crouching Tiger 2? CL: I’m not part of that. Timing wise and negotiation fell apart. No big deal. Period pieces are fun to make, but I think people are more excited about modern day. Those are great warriors back in the day. Their stories and their legendary status carry what they’ve done all the way till now. But I think the real warriors now are the guys behind the line right now. Guys who are fighting for freedom somewhere else that we don’t even know about. MAAC: Gotcha. 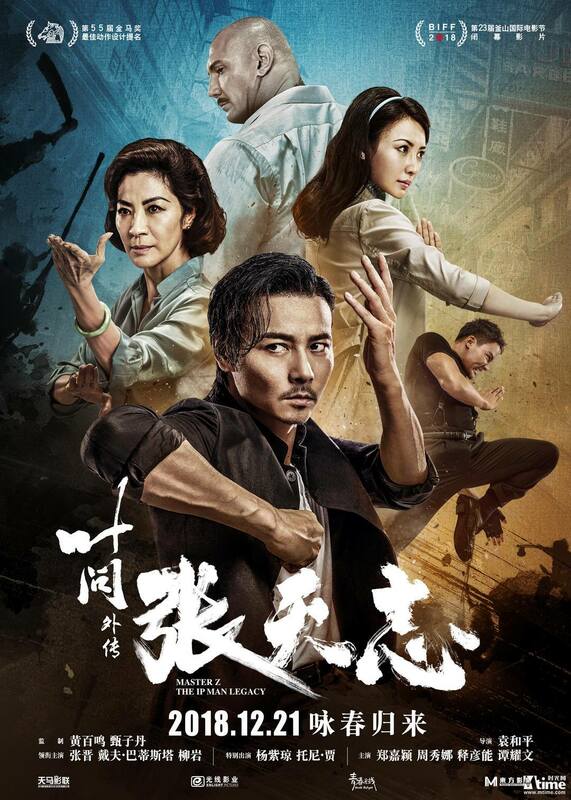 I was very much looking forward to you re-teaming with DONNIE YEN (Bodyguards & Assassins) and YUEN WOO PING. That would’ve been really cool. CL: Woo-Ping did request me. I don’t know what happened behind the scenes but things just didn’t work out. I’ve worked with Woo Ping twice now on TRUE LEGEND and THE GRANDMASTER. It was a pleasure to work with him. I feel like I can bring more to the table than a lot of these action guys have. MAAC: There’s also a JJ Perry project, is that still going on? CL: I actually shot a short being edited right now with JJ called CODENAME: THE DRAGON. It’s actually sort of like a sequel that follows the character of what he does NEXT after the film. 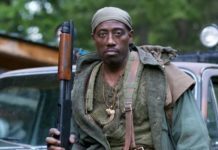 The character is ‘Logan Lee’ who is basically…you’ve seen James Bond, you know John Rambo, Jason Bourne…but you never know how these guys became who they are. You never saw what they do, how they train, and how they endure to become who they are. You’re gonna see it with this character. MAAC: YES. Not just Asian, but Vietnamese! MAAC: There are also some rumors going around that you may be involved with THE RAID U.S. remake? CL: I’ve spoke to the director (Patrick Hughes) and I’m sure one day we’ll work together. But right now I’m on my path and he’s on his. My path is geared towards something different. He’s a director that has to direct actors in action. I’m an actor who has a vision, who wants to take action and make it more realistic instead of wires and stuff. 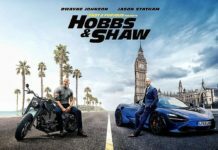 MAAC: That’s exactly what most action fans right now are in to; a more realistic approach to action, especially when it is set in modern day. CL: You’ve seen DRAGON EYES right? CL: For that film we didn’t even get that much time to rehearse. We shot that in 21 days on a limited budget. Just imagine if I had the budget, had the time, you will see. With what we had with DRAGON EYES, we won BEST FIGHT at the ACTION FILM FEST. It’s the opportunity. I can’t sit around and wait for the opportunity, I’m gonna make the opportunity myself. MAAC: So you’ve worked with everyone from DONNIE YEN, COREY YUEN, YUEN WOO PING, is there anyone you look forward to working with? Any dream collaboration? CL: You know, there are a lot of great names out there. I don’t want to pick out certain names. Whoever is really good, whoever is dynamic at what they do, who has the passion, I’m willing to work with. As of right now, I’m gonna focus on what I need to do. If I get cast in a project I guarantee that not only the director, the producers that cast me, and the fans won’t be sorry. A lot of times you hit the studio waves, you do what the team thinks needs to be done. The team, they do limited research. And for me, it’s all about research. The stories, the scripts that I have, it is about what is hot on the Internet, what have high quality and why? A lot of my scripts its about the “what if”. “What if” you’re in THIS situation, what would YOU do? And I think that is what drives the audience to a movie. Damn, if I were this dude, what would I do? Would I do that? And I think that draws more interest. MAAC: Yup, those are great points! Moving on, since you’re here in Vietnam, you probably know that two of the biggest action stars here are Johnny Nguyen and Dustin Nguyen. Have you ever think about working with these guys one of these days if the opportunity presents itself? CL: You know what, I know those guys. I’ve talked to them about collaborating and doing something, but obviously it hasn’t happened. Those guys could’ve made it happen. But it’s no big deal. I’ll move on to bigger and better projects. They are happy that they’re HERE. And they’re big in their little world. I’m looking to do international. If they cannot make anything happen with me, it’s no big deal. I do not want to sound cocky, but when I’m on-screen, I like to steal scenes. MAAC: I can definitely see that. Especially when you’re throwing it down with legends like Van Damme (Dragon Eyes) and Donnie Yen (Bodyguards & Assassins), you still hold your own and stand out. CL: Thank you. It is what it is. Just like how I’m hungry for a title shot when I was competing in MMA, I’m hungry for my opportunity to show the world what I can do in the film industry. CL: I think I’m gonna be on the sidelines for a bit. Maybe this is what causes me to hang it up. But you know, going back to when I was in high school, I wanted to play football and wrestle at the same time. My wrestling coach says “Cung, you can only be good at two things, but you can be great at one. What are you gonna choose?” Right now, I’m at that path. I was great in MMA. I’ve done that. Here is the opportunity for me to be great in the entertainment industry. Teaming up with Channing Tatum, and you know, I think it’s gonna be big. 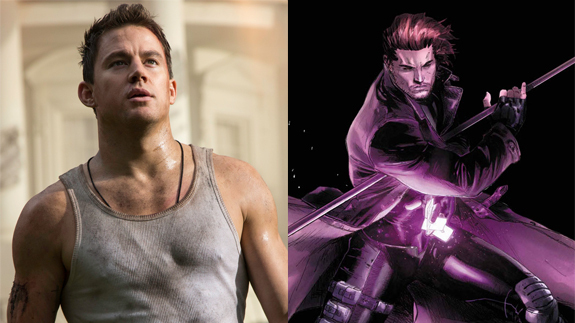 MAAC: I believe Channing just signed on to play GAMBIT (more info on this project HERE). Are you involved with that project in any capacity? CL: Every opportunity I have. We both have kids. Time is limited for him, time is limited for me. We’re gonna get together, if it works out, I’m gonna show him some stuff with “Gambit” that might intrigue the fans with some new action sh*t.
MAAC: Awesome! So you will probably be helping him out with the action choreography for “Gambit”? CL: Yea, I feel like I can take action to a whole new level. MAAC: Ok Cung, I don’t want to hold you too much longer. I know you’re very busy today. I just want to say THANK YOU again for taking the time out of your schedule for this and the fans of MAAC will definitely appreciate this! 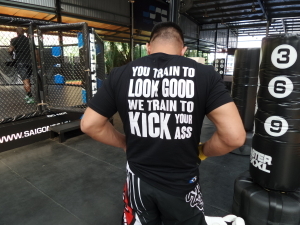 Thank you again to CUNG LE! 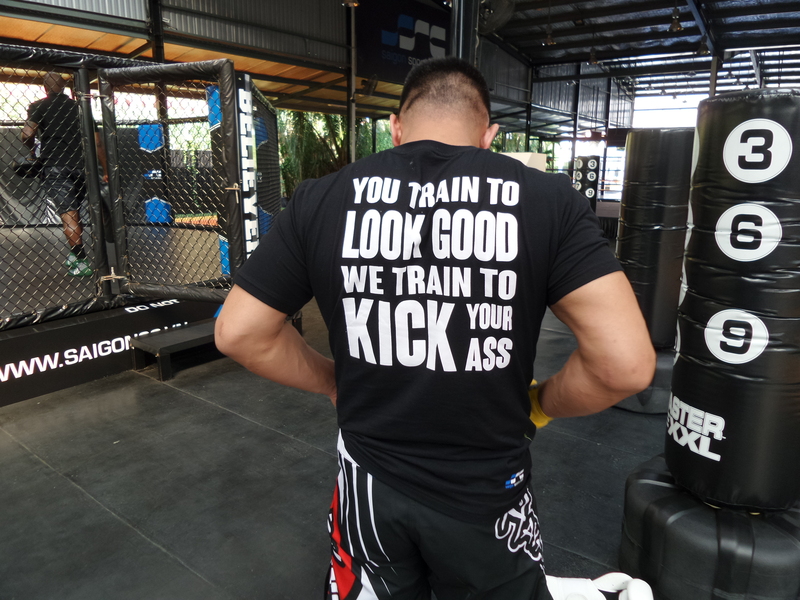 Please visit www.CungLe.tv for EXCLUSIVE behind-the-scenes and training footage. You guys can also learn more about SAIGON SPORTS CLUB at their Official Facebook Page. I didn’t like Man With the Iron Fists. It had great action, but I didn’t really sympathize with the characters and felt they needed deeper development. I loved Cung in Bodyguards and in Grandmaster though! It will be fun to see what he ends up coming up with in film. I would like to see him work with Donnie again. So COOL that you got to meet and talk with him!